EP K9 units are most commonly used to support high-profile clients like state officials and mega celebrities. If you have prior K9 experience from military or law enforcement work, it can give you an advantage when interviewing at some agencies. Professionally trained dogs can help you in protecting both your client and their property. If you have ever wondered about how to go about training a dog to work with you as a K9 bodyguard, or how to handle trained K9s, then there are some important things you need to know before getting started. As humans we can begin learning something and change our mind, decide that we’re not interested, and move to to learning something else. You may think that you want to learn karate and then decide that it’s not for you. This isn’t possible with a K9 bodyguard. The training is lifelong and something that you, the owner, have to be committed to doing with your dog. More than just being trained to attack, you have to make sure that your dog is well trained to stop. They can be a wonderful form of protection as long as you take the time to work with them consistently. As the owner, you will have to make sure that your dog is well behaved enough to listen when you are working. They will not be able to distinguish between someone greeting your client and someone who may want to cause them harm. By keeping your dog in your sight at all time and making sure that they listen you can mitigate the risk of accidents. The last thing you want is for your dog to attack someone that they shouldn’t. Few bodyguards will know how to train a K9 bodyguard without getting help themselves. Picking the breed of dog that you want to work with is personal. Every breed has a distinct personality, though there are some that are better suited for this type of work than others. Make sure that you do your research to verify that you are picking a breed that you can work well with. Before embarking on this path you will also need to find a trainer who you like and work well with. This person will be important to you – they’ll help you understand your dog and how to control them. With the wrong breed and the wrong trainer you will fail and your reputation as a bodyguard with a wonderful K9 will be ruined. 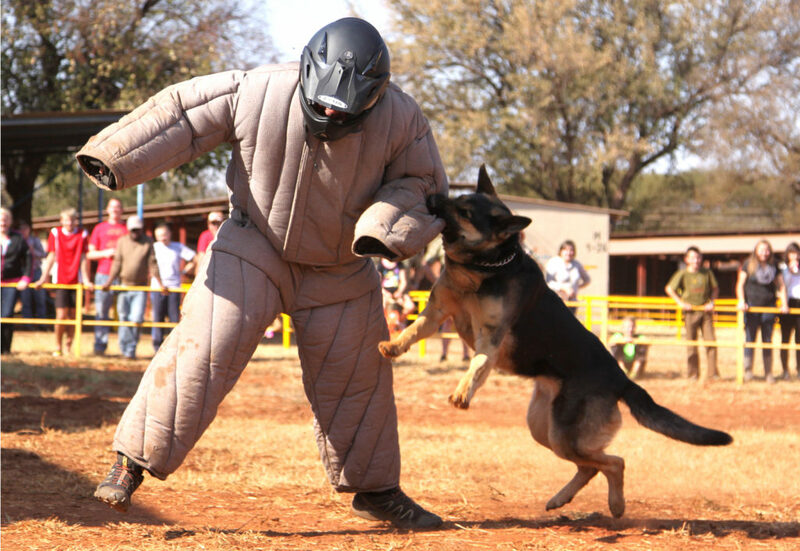 Training a K9 bodyguard to help you in your job protecting clients is not something to be undertaken lightly. Make sure you do your research and are prepared for the work you’ll have to do to turn your dog into not just a companion, but a business partner and colleague.